Delegates to the state meet in 1917, in front of the capitol. TEAMWORK. Participation teaches that it is a privilege and an honor to represent one's school. Students learn to win and to lose; to take as well as to give. Self-motivation and intellectual curiosity are essential to the best academic participants. Physical training and good health habits are essential to the best athletes. Interscholastic competition is a fine way to encourage youngsters to enrich their education and expand their horizons. Leadership and citizenship experiences through interschool activities help prepare students for a more useful and wholesome life. What Does The UIL Do? Provides students with educational experiences through competition. Promotes good sportsmanship and cooperation among member schools. Works to prevent exploitation of students by special interest groups. Publishes the monthly Leaguer newspaper, sent to sponsors and administrators of all member schools, UIL adjudicators and officials, and interested news media in Texas. Provides the use of speech video tapes and athletic tournament and rules films through The UT-Austin Film Library and the National Federation of State High School Associations. Works closely with associations to provide better officiating and adjudication for UIL contests. Sponsors regional conferences and clinics for athletic, music, drama, and academic contests. Provides materials to schools for use in UIL contests. Seeks to safeguard the health and welfare of students by requiring physical examinations for participation in athletics. Seeks to keep awards for achievement on a sensible basis by restricting the cost and type. Sponsors district, regional, and state tournaments or meets in athletic, music, drama, and academic contests. Provides drama teachers with an extensive Drama Loan Library of more than 26,000 plays. Sponsors the Interscholastic League Press Conference. Administers the Texas Interscholastic League Foundation which provides scholarships for drama and academic state competitors. Texas school people believe that there is more equitable competition on a state-wide basis when schools compete with other schools of comparable size. UIL member schools are divided into six conferences according to enrollment. Conferences, in order of enrollment, are 6A, 5A, 4A, 3A, 2A and 1A. Other states and many Canadian provinces have similar organizations. It is to the credit of the school people of Texas that theirs is recognized as one of the best. 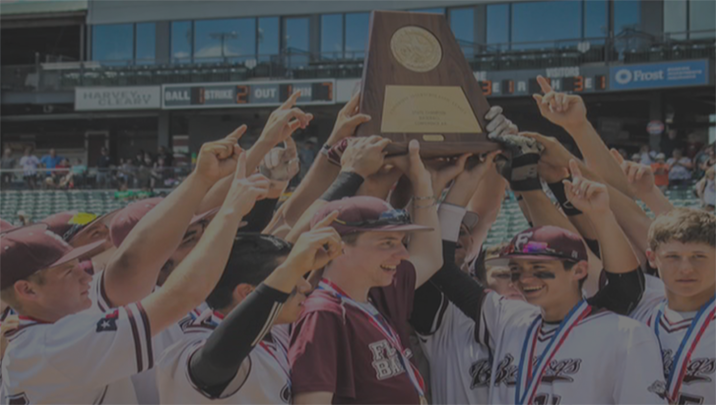 Many states have patterned their leagues after the UIL. Texas has often been called on to help its neighbors with their programs, and UIL employees have been named to national offices and committees in recognition of their expertise.